This stone-faced smokehouse, ( smokehouse is what Rokerij means in Dutch ), is a gem of an eatery. About 11 miles to the south of Turf Paradise, some of the best and freshest food is waiting for you. I prefer downstairs over the classic style of upstairs. 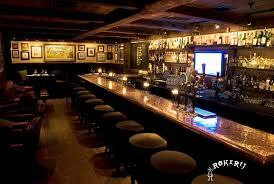 Booth 50, don’t settle for any other, it’s the booth that you can see at the end of the bar when you walk in. The booth to the right, I think it was booth 51 that can get a little crowded as friends of friends congregate around the bar and end up standing with their back nearly up against your table. If 50 isn’t important to you, I guarantee all other seats are all win tickets. Spoiler, you will need a res just to make sure you can eat downstairs. The copper-top sets off the room as do all the friendly service and patrons. This is one place where there isn’t a bad choice on the menu. A fantastic choice of steaks, chops, fresh fish and small portioned plates finish out the line. I prefer the prime rib. The size and shape of the steak is off the track. 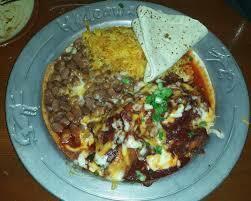 The enchiladas are as hot as the sun but recently I heard they toned them down. Although during the busiest times the bar can become uncomfortable with the amount of people, the happy hour around the copper-topped bar is pretty hard to pass up.